Government of Punjab in collaboration with Opus Inspection (Pvt) Ltd have taken a revolutionary step in the field of Road Safety and Environmental protection by introducing a modern and computerized Vehicle Inspection & Certification System (VICS) network. Under the system all Public Service Vehicles operating in Punjab will be regularly inspected for fitness and awarded a Fitness Certificate upon satisfaction that the vehicle is Safe to ply on public roads and highways and its noise and emission levels are within environmentally friendly limits. Opus Inspection (Pvt) Ltd is establishing 39 VICS stations all across the province under a Public Private Partnership (PPP) agreement with the Government of Punjab. VICS has been inaugurated by Honorable Chief Minister of Punjab, on 23rd July 2016. Pakistan is country of 200 Million people which makes it the sixth most populous country in the world. Punjab alone accounts for about 100 Million people and is experiencing rapid urbanization. With increasing populations, economic development, and demand for transport, more and more vehicles are plying on the roads increasing the chances of road fatalities and injury due to mechanical failure. Further increase in vehicle population is also leading to deterioration of air quality and environment. VICS will ensure that public service vehicles are regularly inspected for fitness and road worthiness thereby enabling delivery of safe transport vehicles to the public. • Reduced Fatalities and Traffic related Injuries due to mechanical failure of Public Service Vehicles. Under special instructions of the Government of Punjab, in collaboration with Opus Inspection, has taken a revolutionary step towards road safety & clean air whereby all public service vehicles will be inspected and given fitness certificates through latest computerized technology. 1. 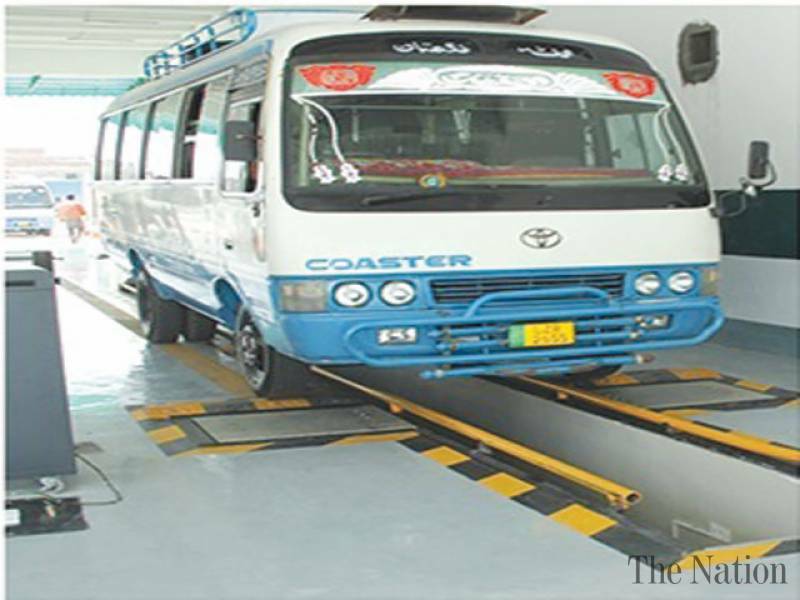 In the initial stage, a fitness certificate will be granted to all Lahore registered Rickshaws, Taxis, Busses, Vans and Trucks after a thorough inspection. 2. Owners of unfit vehicles will need to get their vehicles repaired within time period of 2 weeks. 3. Inspection will only remain valid for 6 months. Five new stations has been implemented. Opus Inspection (Pvt) Ltd is a subsidiary of Opus Group based out of Sweden. Opus Group designs, builds and operates vehicle inspection programs for governments around the world.